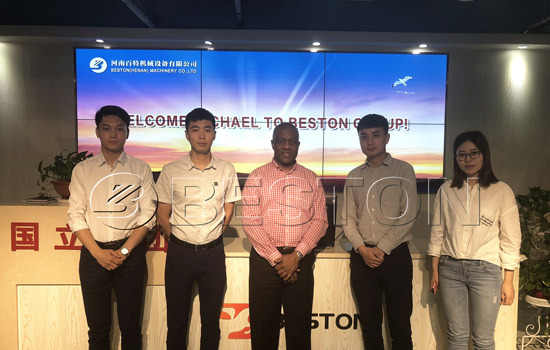 A customer coming from Bratain paid a visit to Beston Machinery in May, 2018. He showed round the factory with our company. This customer wanted to set up a waste sorting plant with 400T capacity in Canada. 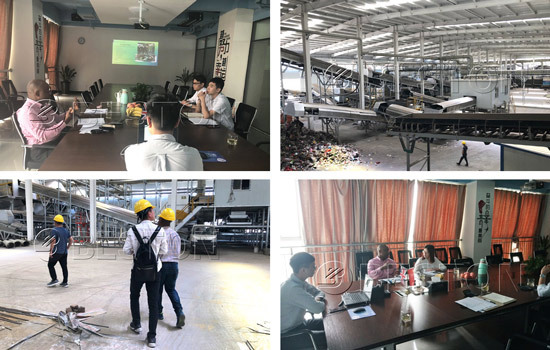 In order to have a detailed understanding about this plant, he decided to come to our company. Firstly, he visited the waste sorting plant. He saw each part of the equipments and knew the function of them. Then, we demonstrated the normal sorting operation process for him. After seeing, he felt the whole sorting process was undergoing with high efficiency. Several sorting technologies had a good combination. In addition, there was deodorization system to make sure the health of workers and the environment of the workshop. Finally, this customer had a further discussion about the sorting plant project in Canada with us. We both sides were looking forward to working together in the future. Strict waste clossification regulation has significant mean for all countries, especially for developing countries. Accordingly, Beston automatic sorting machine will help a large of countries to deal with the waste collection problem. We provide three models to satisfy your different demand, including BFX-100, BFX-200 and BFX-400. They can classify the municipal solid waste with high sorting rate. Do you have demand for this machine? Contact us right now!